Be the first to share your favorite memory, photo or story of Mazie. This memorial page is dedicated for family, friends and future generations to celebrate the life of their loved one. Mazie Slone, age 86, of Pippa Passes, KY, passed away Thursday, March 28, 2019, at her home. 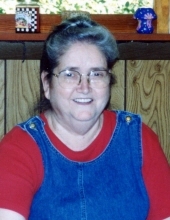 She was born in Pippa Passes, KY on April 1, 1932 to John H. Slone and Virgie Sparkman Slone. Funeral services for Mazie Slone will be held at the Hindman Funeral Services Chapel, Sunday, March 31, 2019 at 1:00PM with Lawrence Baldridge officiating. Burial will follow at Mountain Memory Gardens , Hindman, KY. Visitation will be held at the Chapel Friday and Saturday evenings from 6PM to 9PM with additional services Saturday evening at 7PM. In lieu of flowers memorials may be made to: Bluegrass Care Navigators or Backpacks of School Supplies to Hindman Elementary. "Email Address" would like to share the life celebration of Mazie Slone. Click on the "link" to go to share a favorite memory or leave a condolence message for the family.